This stunning extension to our bestselling Vittore line of rings will add cool romance to your look. 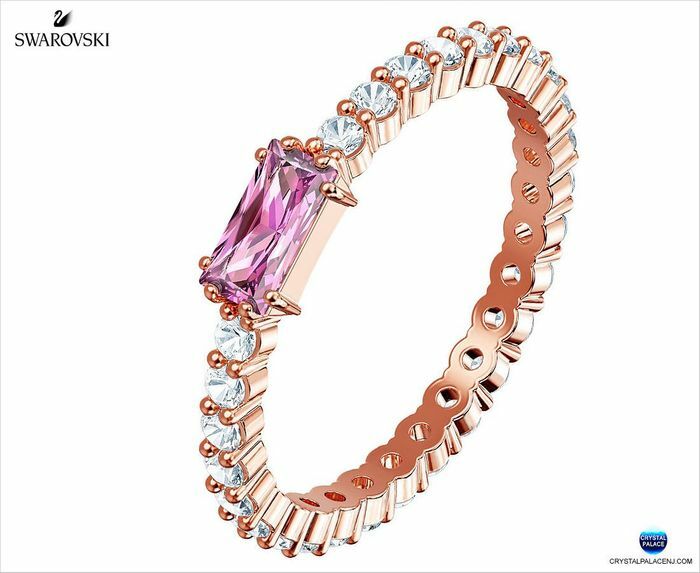 Plated in rose gold, it sparkles on all sides with clear stones and now features a baguette-cut centerpiece crystal in vibrant pink. On trend and easily combined with your other Swarovski rings for a fashion-forward stacked look, this will be your new go-to accessory this fall/winter.